Lady Dorrian, chairwoman of the Scottish Sentencing Council. The public is to have a say in the development of Scotland’s first sentencing guideline which will influence the way offenders are sentenced in our courts. 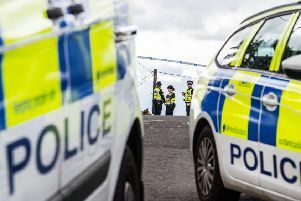 The Scottish Sentencing Council is launching a public consultation on its first draft guideline, which sets out the principles and purposes of sentencing for all offences. The council, which is made up of judicial, legal and lay members, was set up as an independent advisory body to promote consistency in sentencing across Scotland. An essential part of its work is to prepare guidelines for the courts. Although some relevant guidance already exists in the form of court decisions in particular cases, this will be the first time that a comprehensive definition is provided for the principles underlying sentencing decisions and the purposes they seek to achieve. The draft guideline sets out an overarching principle of ‘fairness and proportionality’ and a series of supporting principles which contribute to this. People should be treated equally, without discrimination. The draft guideline also outlines the purposes sentencing may seek to achieve, for example, punishment, reduction of crime (including through rehabilitation), reflecting society’s disapproval, giving offenders an opportunity to make amends. In order to prepare the draft guideline, the council has carried out significant background research, consulting widely with judges across Scotland, considering previous research on this topic both in Scotland and in other jurisdictions, and engaging with interested organisations. The draft guideline was designed to assist judges in court and to help the public better understand how sentences are decided. The consultation asks people to comment both on the principles and purposes identified, and on how easy the guideline is to understand. Lady Dorrian, the Lord Justice Clerk and council chairwoman, said: “The fundamental principles and purposes of sentencing have never before been expressly defined in Scotland. We believe that creating this guideline will have significant benefits both to the public and the courts, increasing consistency and transparency in sentencing. “We are committed to taking an open and transparent approach to developing sentencing guidelines and the public consultation process is a vital part of that – we cannot complete our work in isolation. The council is also currently developing general guidelines relating to the sentencing process - including the steps taken by judges when deciding sentences and the different factors they take into account – and on the sentencing of young people. As announced in the council’s business plan, preparatory work is being undertaken in relation to offence specific guidelines relating to causing death by driving and wildlife and environmental crime. The deadline for submissions is noon on 27 October.